Tofu is great source of protein for vegans (and everyone else). It’s an affordable protein and can be found in different varieties: Soft Tofu / Silken Tofu, Firm Tofu or Extra Firm Tofu. I prefer to use the firm/extra firm for stir fry tofu with vegetables and soft tofu for smoothies, Chinese hot-pot recipes, Asian soups and vegan desserts. 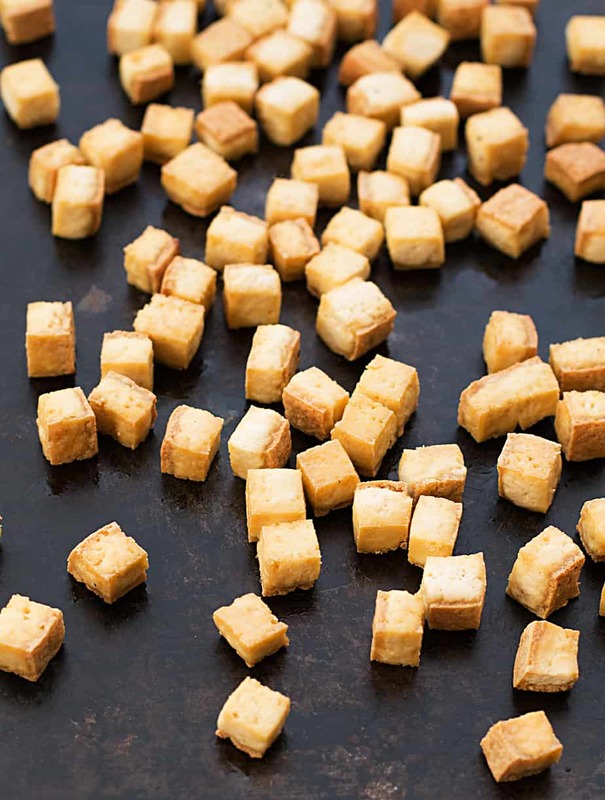 This crispy baked tofu recipe is so easy to make and much healthier that any deep-fried tofu recipes. It’s so quick to make, the result is also amazing, soft on the inside and crispy on the outside. On my lazy days, I often bake tofu with salt and pepper, then use my favorite Asian sweet chile sauce as a dipping sauce. Today I am going to show you how I use baked tofu as the main protein ingredient for my salad, which great for lunch or dinner. 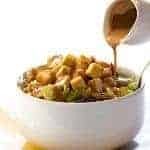 This salad also features my favorite Asian Peanut Butter Sauce (Thai Salad Dressing) , also healthy and a good source of protein. Learn how to make crispy baked tofu without a ton of greasy oil and great flavor that the whole family will love! This baked tofu is the perfect addition to your salad or as your quick snack food that high in protein. Check on the tofu and do not over bake as it will then be chewier and harder. Rika Livingston is a multinational food and lifestyle blogger, who incorporates ideas and ingredients from around the globe into her healthy cooking. Her award-winning blog blends conceptual photography with the useful information and reviews her readers crave. Rika translates her passion for food, travel, and fashion into gorgeous moments, helping her followers find the good life. I do like tofu, but I rarely make it at home. I’ll have to try your crispy baked tofu and the thai salad dressing. I used to make my own thai dressing and I misplaced the recipe. My sister in law loves tofu, so I am thinking that she will be a BIG fan of this recipe. Sending it to her now. Unfortunately for me I cannot eat tofu, but I do have a lot of friends that love it, and my nephew who is one years old it’s his favorite snack. Interesting way to serve tofu. I’ve never had that baked. It was always fried and crispy. I have to try that thai salad dressing too. I think it would also go well in other salads. I love tofu and I am always looking for new ways to enjoy it. This looks and sounds like a fabulous recipe. I can’t wait to try this dish this weekend. What a delicious idea, this looks scrumptious. 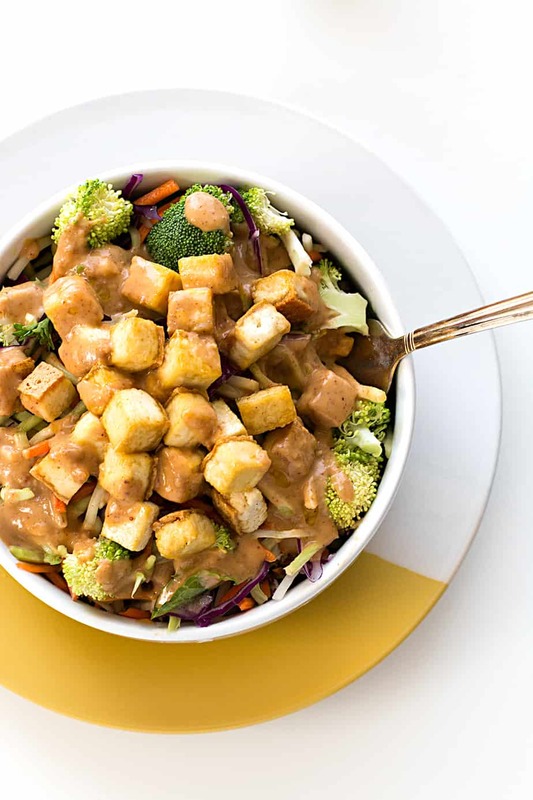 I think it sounds easy enough to make this baked tofu thai salad dressing. I will have to try this dish. I never tried tofu. I wonder what it taste like. 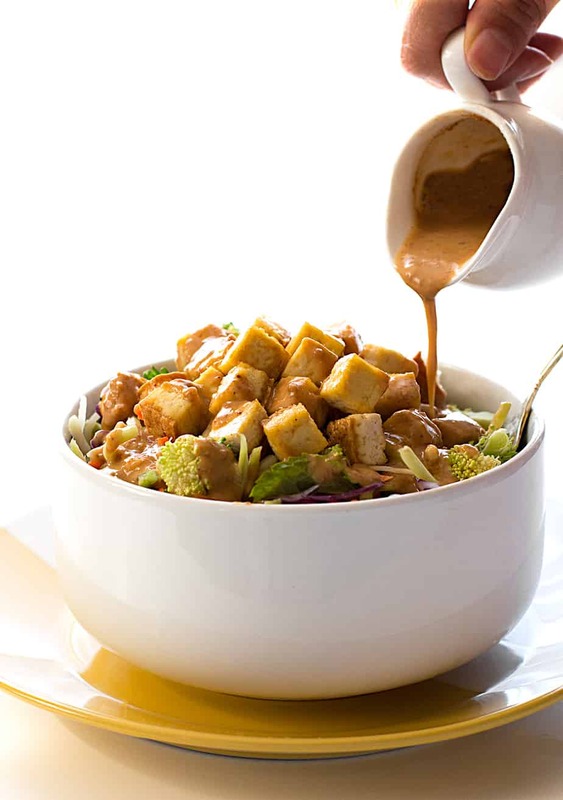 Your tofu thai salad dressing sounds so good. I have to try this recipe. Thanks for sharing. My daughter likes to eat vegetarian as much as possible. I am sure she would enjoy this. Yum! This looks like the perfect lunch for me to make and pack up for back to school lunches for myself and my daughters. I have never tried tofu, and am hesitant to make my own. This recipe looks and sounds amazing though so I may have to try it! That is one thing I have never tried – Tofu. Would love to give it a try and see if I like it. This would be a great dish to try it out with. Looks and sounds just delicious! I am not sure if I have ever had Tofu to be totally honest with you so all of this is new to me. I didn’t even know it was a sources of protein! This looks like it would be delicious so I am going to add it to our must try list. That looks so delicious! Not a big tofu fan but I’d so eat that! Great recipe I’ll have to try it one day! Thanks! I can’t say that I’ve ever tried tofu before but I’ll have to change that. I’d love to try it in your salad recipe soon. I’ve never tired it but I’m pretty sure that it’s delicious and I love trying new foods. 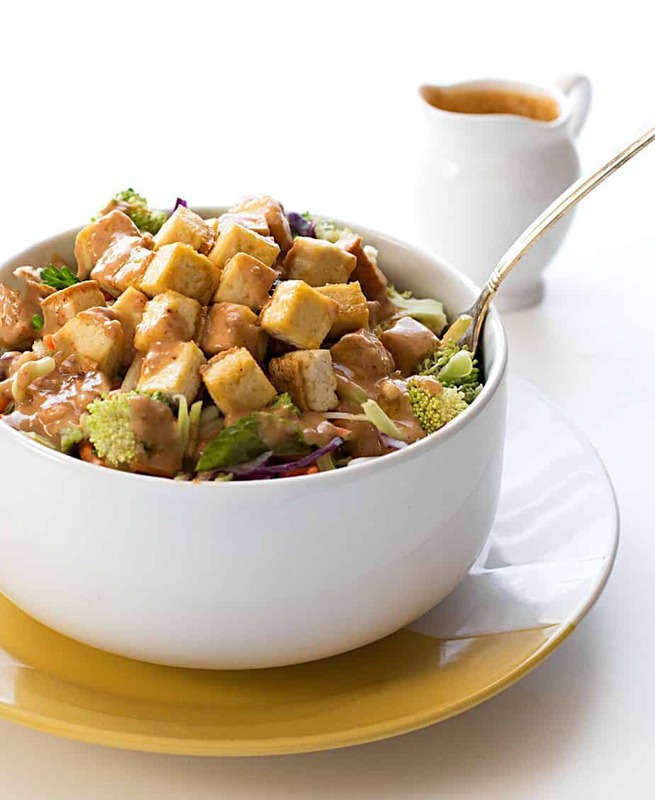 This looks like a great baked tofu with thai salad dressing. I have never tried Tofu before so this would be a great recipe to try it in for sure. The dressing I would actually have to change for myself because I don’t like vinegar. Thanks for sharing the recipe. I have never actually had tofu. However I have 2 vegetarian sisters-in-law so this would be great for their next visit! I used to eat tofu a lot when I was in college but I can’t say that I’ve made it this way before. Sounds good! I’m not a fan of tofu, but the thai salad dressing sounds really good.